Last time Pop-Break caught up with New Brunswick’s Sink Tapes at the end of last year, the four-piece band had just released their second LP, Please Touch, a fuzzed-out, dreamy affair that was alternately blissful and woozy, inviting and challenging. Today, six months later, the band is preparing their third full-length for a September release. 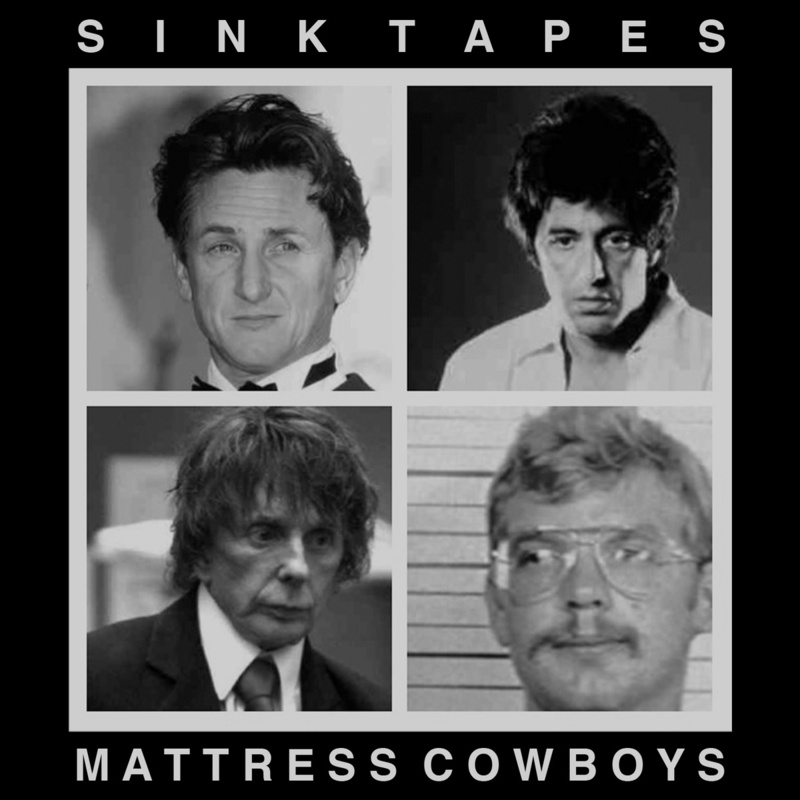 But while we wait, they’ve released Mattress Cowboys – a gorgeous five-song EP that trades in the distortion pedals and cymbal crashes for acoustic guitars and pianos. Focusing on their quieter side (and forgoing drums altogether), the boys of Sink Tapes have written some perfectly understated and emotionally affecting bedroom pop. The production is warm, crisp, and thoughtful, with each track offering some delicious ear candy – from the percussive piano pedal tones on the sad and lovely “Better Me” to the eastern-sounding guitar solo at the end of “Know, I Don’t.” The entire EP clocks in at just over 10 minutes. But it’s so good, you’ll likely listen to it three times back to back. The band is kicking off an eight-date tour this Friday, 6/14, in New Brunswick at Paradise Lost.